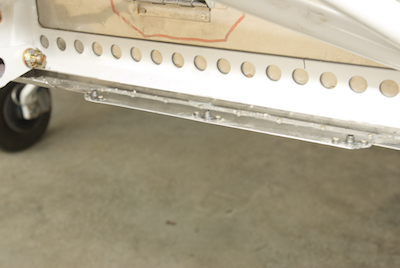 To finish off the bottom cowl, you need to add some nut plates to a strip of previously installed aluminum. Locating the holes for the cowl is a little tricky. 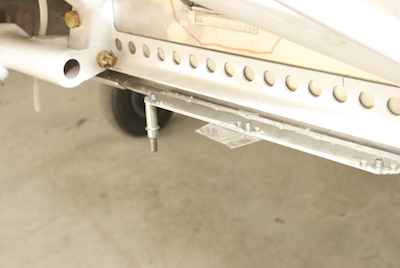 You get a second piece of aluminum just like the first one to position over the cowl while the cowl is positioned on the fuselage. If you do it right, the holes line up perfectly with the installed piece. I did it right, but no pictures of the procedure. 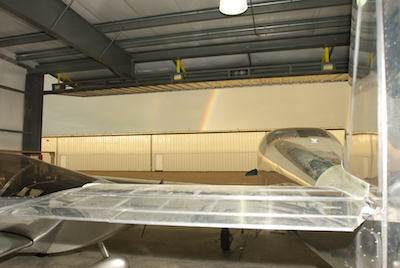 Then rainbows. 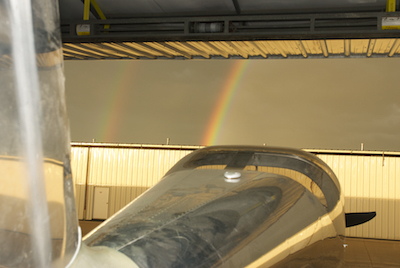 A terrific double rainbow after a long day at the hanger.